I was diagnosed with prostate cancer in the year 2000 and still I remember vividly that day and my doctor’s words: “you have prostate cancer.” The shock and fear of facing a disease that had taken the lives of my father and both grandfathers was a heavy psychological burden to bear. Working with many other men who have faced prostate cancer, this burden seems universal and managing the emotional stress becomes an urgent need for men and their families. Summoning the inner strength to lift this pressing psychological burden and make decisions about treatment was a major challenge for me, as it is for most men. I turned to my Christian faith through prayer to find the strength to face prostate cancer, and throughout my twelve years as a survivor my faith has been the bedrock in meeting my survivorship challenges. 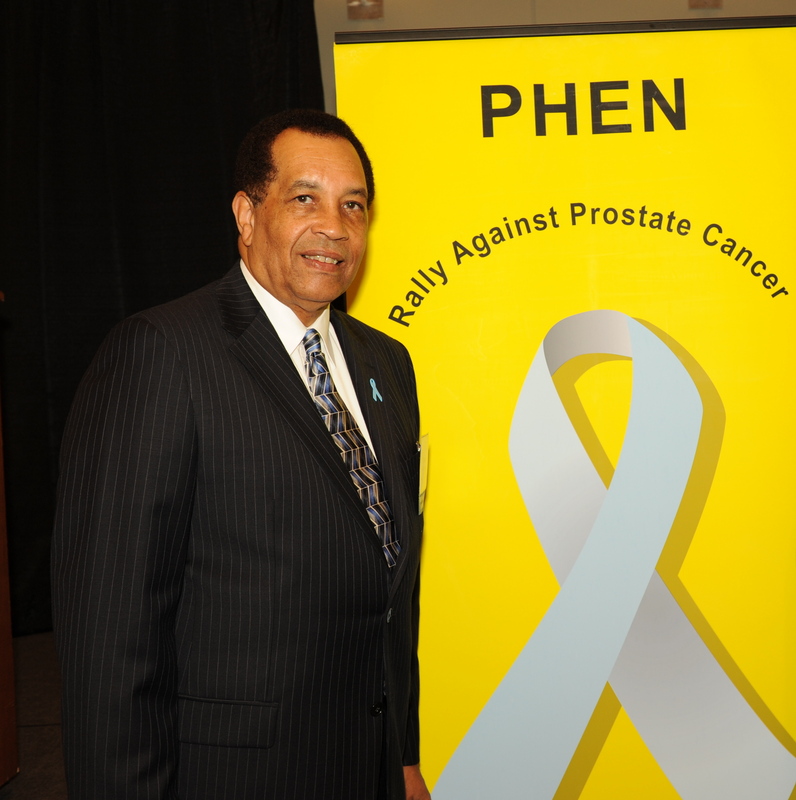 PHEN’s Father’s Day Rally Against Prostate Cancer in partnership with institutions of faith connects men and families who are facing prostate cancer, managing survivorship issues, or have lost a loved one to this disease. Through the power of prayer and spiritual fellowship their isolation is removed and replaced with open and supportive relationships. The Rally is based on the importance of faith in healing, and this Father’s Day ceremony is proving highly effective in helping to remove many heavy burdens. The commitment and support of the hundreds of churches that have joined the Father’s Day Rally since its launching in 2009 has transformed the Rally into a dynamic national movement that is part of the healing process for many thousands across our country. I sincerely thank the leadership of these churches and I salute those survivors who are working within their churches to help facilitate the Father’s Day Rally. These survivors are true faith disciples for their courage to stand up and speak about their personal experiences to outreach and help others. There are many pastors of our partnering churches who are themselves survivors and while these faith leaders are very impactful within their own churches, some are assuming the added responsibility of recruiting other churches to our efforts. While I am excited with our progress, there is much left for us to accomplish through our joining hands in prayer and action. Prostate cancer is a devastating disease, especially among Black men. The need for healing is tremendous and I know that faith has a great role in reducing suffering and saving lives. The Father’s Day Rally Against Prostate Cancer puts this into action. You are currently browsing the PHEN President's Corner Blog blog archives for May, 2012.